The granite spires of the Sierra Buttes (8591′) tower above both Upper & Lower Sardine, making for a glorious backdrop to these two lakes. This is a popular fishing lake with no swimming allowed. The water is so clear that at noon you can see to the bottom! There are numerous, super-scenic, small lakes in this region and one trip here is not nearly enough. 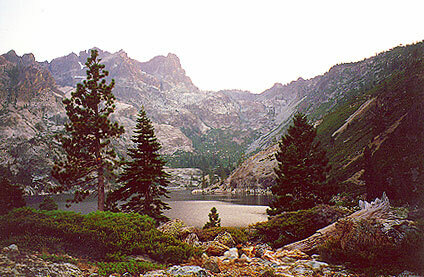 Total Escape rates this collection of small lakes up there w/ the ‘best hiking lakes’ in California. The Pacific Crest Trail runs through this awesome lakes area, which is located north of Truckee, east of Downieville. Plumas Co Road #24 is the Gold Lake Road, also referred to as the Gold Lake Highway – which skirts the lakes, the buttes and connects Historic Gold Country Hwy 49 to Graeagle Golfing @ Hwy 89. SNOW CLOSES THIS ROAD, but the area remains open for winter recreation. SARDINE LAKE ROAD, a paved turn off the main road. 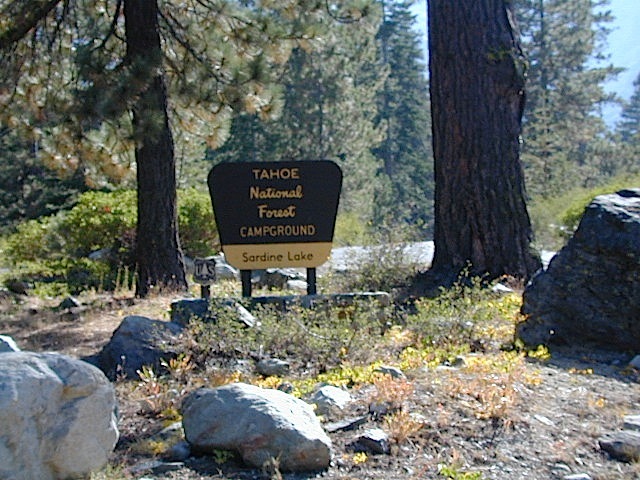 NFS Campground is located one mile from the shore at Lower Sardine. 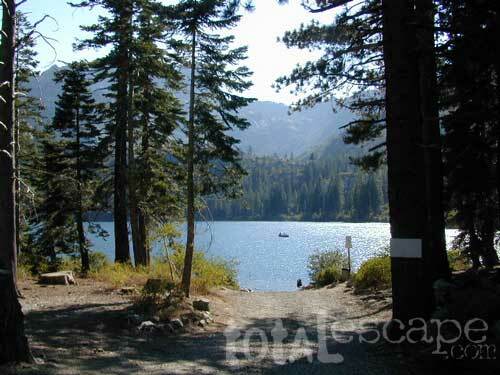 Sardine Lake Resort rents cabins and the restaurant serves dinners w/ lake view! Upper Sardine Lake: Takes only a short hike to get to. This is a pure glacial bowl; the rock plunges straight into the water, no beach at all. Great fishing; ice-cold swimming.